The year have started and the competitions too. Real Club de Golf Guadalmina – San Pedro de Alcantara, Marbella-host between 9th and January 12th Andalusia Men Cup competition with the women’s event, to be held at Villa Padierna, will open the competition calendar Royal Andalusian Golf Federation this year 2016. 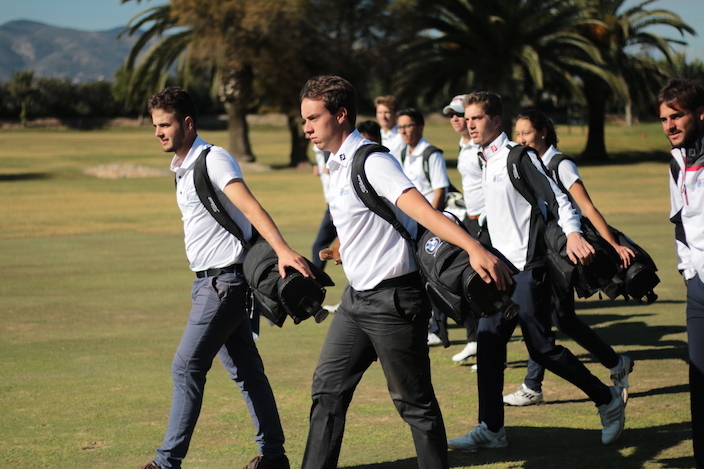 The test is scoring for the R & A World Amateur Golf Ranking and National Ranking Boy and bring together the leading amateur golfers Spanish level, presenting a high standard with a 0.1 handicap cut. Andalusia Cup is played over 72 holes stroke play for four consecutive days, playing 18 holes each day. The last day played only the 50 top-ranked and matched in this position. Since UGPM want to wish good luck to the team that played the tournament. On the men: Victor Pastor, Alberto Ascari and Andrea Gobbato; and in the female category Pilar Martinez.